small pic for a small battery lol, I know i hated how mine did that, I would change that for sure. I got tired of hearing everyone ask me why does it start like that. 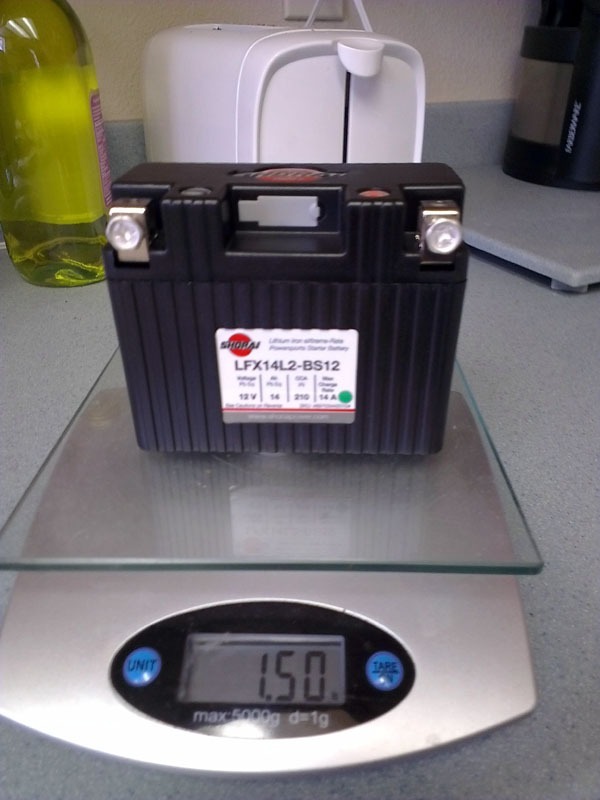 Perhaps the best part is that it knocks 3.11 lbs off - stock battery when I weighed it was 4.61 lbs - the Shorai was 1.50 lbs. Not sure which battery is in my bike right now, got it just a few days ago, but I took it to Honda because I thought the battery was dying and I didn't want to be stranded somewhere. He started it up, checked it and everything, said it was in great shape, ran strong. 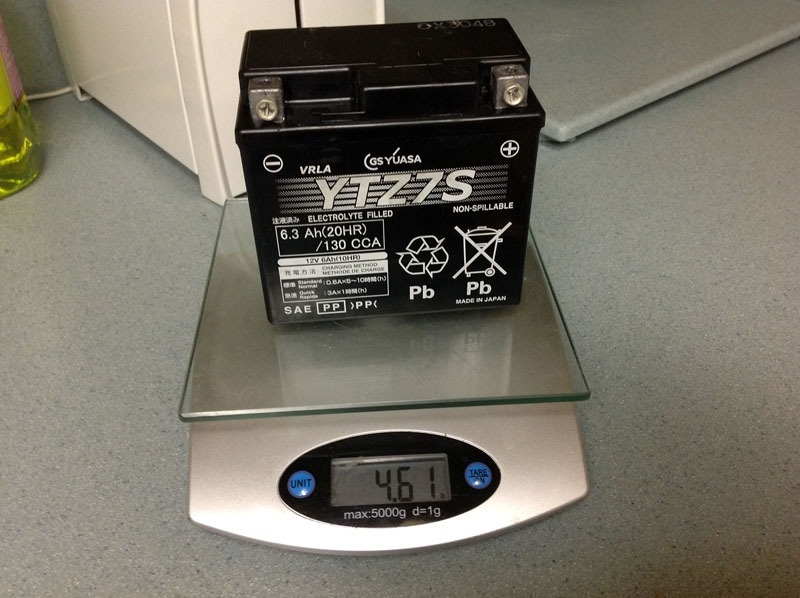 Also mentioned he was confused because it was an even smaller battery than stock. Thanks for posting this, I'll have to take a look and check out if the previous owner actually did something good to the bike. will using my car battery charger in my bokes battery hurt it?